Learn the lingo so while listening to the scanner, you will understand the communications. 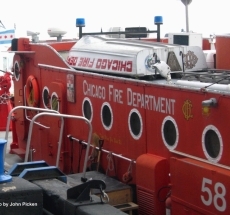 Many of theses phrases are unique to the Chicago Fire Department. typical run assigments also shown below. Help Needed, we need your help to verify the lingo information shown below is current and correct. Please help keep this section accurate with current information. 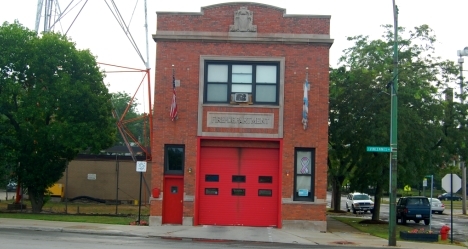 The Chicago Fire Department provides two basic responses for reports of structure fires - the STILL ALARM and the STILL & BOX ALARM. Don't confuse the "Still & Box Alarm" with the "Box Alarm", which is a different response to an automatic alarm. The STILL alarm dispatched by the fire alarm office to initial reports of a structure fire. 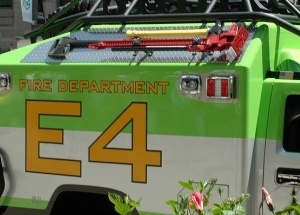 If the dispatcher receives additional reports of a fire or a fire company arrives on the scene and reports a fire they will dispatch a Squad, a Command Van, and a R.I.T. team on the STILL alarm assignment. If the report of the fire is in a close distance to a firehouse with a Squad, then the Squad will be sent automatically. 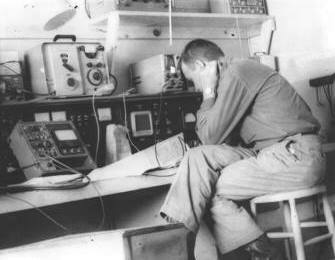 Generally it seems a Squad will only be sent automatically on STILL alarms if the alarm is within about 40 blocks of the Squad's quarters. A Command Van is dispatched to any working fire, regardless of location. The BOX alarm is transmitted by the Fire Alarm Office upon receipt of an alarm signal from a pull box located in or just outside of a nursing home, hospital, theater, government building, or other place of public assembly. These box alarms are usually referred to as "cold boxes" and typically do not amount to much of anything. If a cold box turns out to be a fire, the box is then "filled out", with additional companies assigned to bring the alarm level up to the STILL & BOX alarm level. Also, there are certain situations where procedure indicates that the Fire Alarm Office must automatically transmit a STILL & BOX alarm. These situations include: A report of any type of fire, including an odor of smoke, in a building such as a nursing home, theater, government building, hospital, or other place of public assembly that has a pull box at its disposal; and A stand-by alert at an airport (plane in distress). As you can see, a STILL & BOX alarm is not always a working fire, because it could be transmitted by the Fire Alarm Office for an odor of smoke in a nursing home. These types of STILL & BOX alarms are typically struck out quickly. Unless you have the address memorized, sometimes it is impossible to know if a STILL & BOX was transmitted by the Fire Alarm Office because people are reported to be trapped, or because of an odor of smoke in a hospital or nursing home. R.I.T. 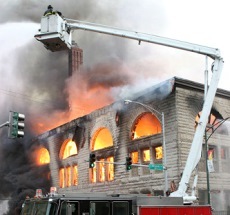 Response In late November of 2002, the CFD began dispatching a truck company and a battalion chief as a designated Rapid Intervention Team on every working fire, including Still Alarms. Mayday Response As part of the R.I.T. 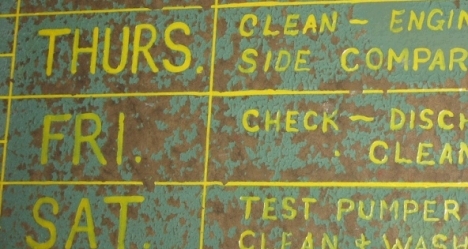 protocol, the CFD also adopted procedures that must be followed any time a R.I.T. is deployed in a "mayday situation" (i.e., a firefighter in trouble). These procedures, collectively, comprise a "Mayday Response" that is transmitted automatically upon the deployment of a R.I.T. A Mayday Response consists of: an extra R.I.T., for a total of two R.I.T.s; an extra Squad Company, for a total of two Squads; an Air Mask Unit (6-4-x); 2 additional ALS ambulances, for a total of 3; the Collapse Rescue Unit (Engine Company 5, Hook & Ladder 2, and 5-2-1); and a light wagon (9-1-x). In addition, if a Mayday Response is transmitted at a fire that is not already an extra-alarm, the fire will automatically be elevated to the next alarm level. For example, upon the transmission of a Mayday Response: (1) a Still Alarm fire will be upgraded automatically to a Still & Box; and (2) a Still & Box alarm fire will be upgraded automatically to a 2-11 alarm. If a Mayday Response is transmitted at a fire that is already a 2-11 alarm fire or greater, the alarm level of the fire will be elevated only at the discretion of the incident commander. Pin-In Response is dispatched whenever a report is received of someone being trapped inside a car involved in a motor vehicle accident. In most instances, the Fire Alarm Office will receive the report of someone trapped and dispatch a PIN-IN response. In other instances, the ambulance or fire officer on the scene will request the PIN-IN. All truck companies now carry Hurst Tools. In some cases, the fire officer on the scene of a pin-in will determine a full PIN-IN response is not necessary, and only request a truck company with the Hurst Tool for a simple extrication. An EMS PLAN I is a "total response". Sometimes, initially two or three ambulances will be working an incident that escalates to an EMS PLAN I once it is determined that more ambulances are needed. Typically something like that will occur at a bus crash or other similar incident where only one or two patients are initially present, but as the incident continues more people begin to complain of pain and present themselves to the paramedics. 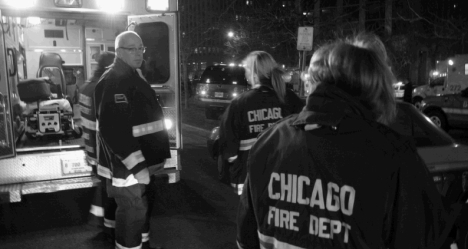 An EMS Field Officer will respond to any scene at which three or more ambulances are operating. "Strike it Out" The phrase "strike it out" or "strike out the box" applies only to fire incidents at the Box Alarm level or above. 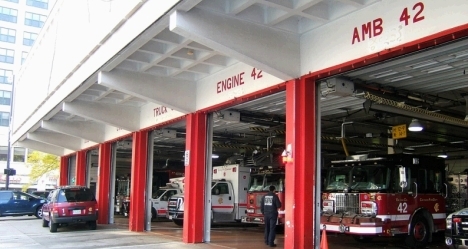 In the context of a Box Alarm, the phrase "strike out the box" represents an order direct­ing all companies that are either responding or in the staging area to return to quarters. In the context of a Still & Box alarm or above, the phrase "strike it out" signals, at the very least, that the incident commander will not be requesting any additional fire companies. Thus, the strike out signal does not necessarily mean that the fire is completely out. 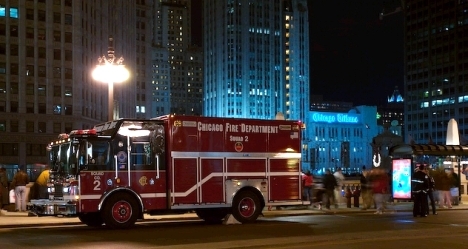 "Hold the companies" In Chicago, this phrase is used in the context of a Still Alarm or other non-box alarm response to cancel the response of any companies not already on the scene. "We've got a fire"/"We've got a hit" This phrase is the rough equivalent of New York's 10-75. 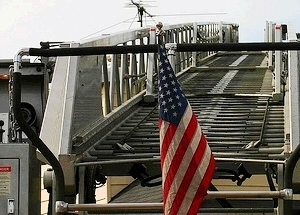 If the dispatcher has not already done so, he or she will, upon hearing this phrase: (1) start a full Still Alarm assignment, includ­ing a squad company (subject to the distance limitations applicable to squad company responses) and command van, to the address; and (2) provide the battalion chief with a run down of the responding companies. 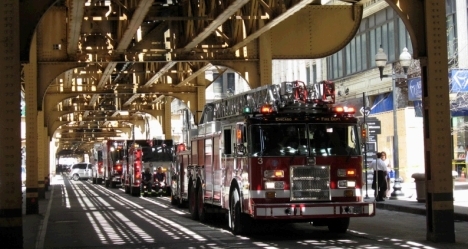 "Smoke Showing" In the City of Chicago, this is generally not a signal for a working fire. 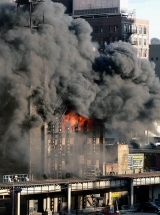 If a company officer reports "smoke showing," he or she is simply revealing the existence smoke, and is not indicating one way or another whether there is a working fire. The phrase "smoke showing" does not, standing alone, justify the response of a squad company and command van (unless these units are already responding). Also, the dispatcher will not give the battalion chief a rundown of responding companies simply because a company reports smoke showing. "Pot of Meat" Used to describe any type of kitchen fire which can, or has been put out with a hand pump. "We've got a prairie" They don't have brush fires here in the Windy City – they're called prairie fires. "Buggy" Refers to the Battalion Chiefs. "Chicago Bungalow" A Chicago Bungalow is a 1½ story brick building that is approximately 25 feet wide by approximately 40-60 feet long. Many Chi­cago Bungalows boast either a large bay win­dow, a front porch, or both. In addition, some Chicago Bungalows have shallow basements that raise the first floor of the house approximately 7 feet.